Home » Feature » 2020 Hyundai Palisade Bowing in L.A.
It’s been known for some time now that Hyundai is working on a new three-row SUV, and now it’s official. Hyundai has confirmed the 2020 Hyundai Palisade will debut later this month at the Los Angeles Auto Show. 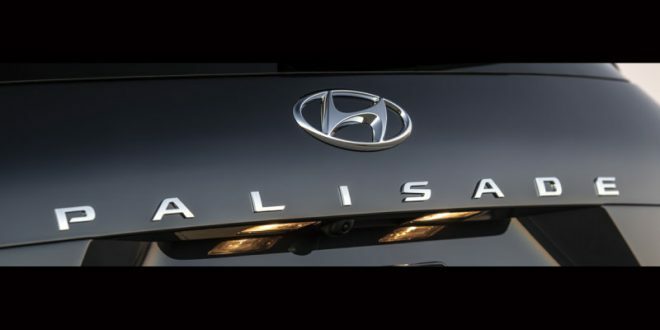 Aside from the above teaser shot (which tells us very little), Hyundai is staying mum about its latest new product. What we do know is that the Palisade will feature seating for eight, making it the largest crossover SUV within the Hyundai portfolio. Its intention, of course, is to replace the Santa Fe XL, which only seated seven. Recent spy shots have also suggested the Palisade will feature a more luxurious interior than the Santa Fe and Tucson models, which makes some sense given the Palisade will be competing on the higher-end of the SUV price spectrum. Like its other SUV models, the Palisade is pulling its name from a locale. Palisade is a very upscale neighborhood in Southern California. Ironically, it’s so upscale that there aren’t likely many Hyundai models, but apparently it makes for a good capstone model name. The 2020 Palisade will bow sometime around November 28th. Expect all of the details–such as engine options–to arrive at that time.